The third in this series of split CD releases on Boltfish Recordings, showcasing tracks from two like-minded artists. Loveless bring five tracks of gritty hip-hop style beats, warm grainy synth melodies, lush strings and ambience. They are a 3/4 piece collective from the UK – Matt, Nath and Kieron produce the music, whilst live visuals are provided by Adam. Hatchelt complements these tracks with four deeply textured downtempo soundscapes built from elements of guitar, piano, strings, field recordings and electronics. His debut release ‘Everything’s Exactly As You Left It’ was released on Barcelona-based label Spark in 2001. "Boltfish Recordings (co-owned by Cheju) has been releasing a series of split CD releases featuring two like-minded artists. For Tandem Series 3, two U.K. artists known as Loveless and Hatchelt are featured. Loveless is a three piece group from Essex, UK and their sound is rooted in Boards of Canada like IDM with MBV inspired sound f/x. The first five tracks are by Loveless and the first three in particular are absolutely spectacular. "Luh" starts off the album with a perfect blend of distorted guitars, idm type of beats, xylophones, and a healthy does of crunchy glitch. The song sounds like it would have fit perfectly on to the Lost in Translation soundtrack, maybe for the scene where Scarlet Johansen roams around Kyoto by herself or the scenes where they were at that house party. Can’t say enough about how impressive that track is. "I Am John’s Memory" features heavier beats and more prominent basslines…it’s hypnotic and melodic. "Arms Of Cain" starts off with dreamy keyboard lines and floats along smoothly with glitches galore, nice and slow beats, and distorted guitars floating in the background. Yes indeed this is impressive. "Monday" and "Leave Recorded" closes out Loveless’ part of Tandem Series 3 with, "Monday" having the loudest and distorted drum beats and "Leave Recorded" having a spookier & spacey sound. Then it is on to the four tracks by the Bristol-based artist named Hatchelt who, "builds, deeply textured downtempo soundscapes with elements of guitar, piano, strings, field recordings and electronics." Hatchelt’s four tracks are less immediately engaging, his style is more cinematic, builds up in a contemplative way, without much use of bass or drum beats. Standout track would be "Notsad." Builds up in a post-rock kind of way, would fit in nicely on that last Mono album strangely enough. Can’t wait to hear what else will be coming out on the Tandem Series. Series 3 is definitely worth checking out, highlighted by Loveless which is a band to be reckoned with. "Two new debuts for Boltfish that goes by the name: Loveless and Hatchelt. 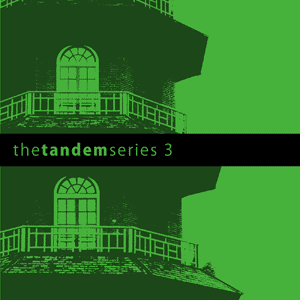 On what is the third instalment in a series of split releases aptly entitled "The Tandem Series". The concept is simple enough two artists co-habiting the same release. Loveless’ "Luh" does not hide the influences and the distorted carpet of sounds can only have one association really: BOAC. "I am John’s Memory" progresses along the same line slowly and well put together, a track that got some grit to the hip-hop derived beats creating a quite sinister atmosphere. The same can be said about "Arms of Chain" and the ending track "Leave Recorded", they’re all good tracks and however they undeniably carry that unmistakeably Engländer group reference. Second from the end you’ll find "Monday" a track that has a setting that differs altogether and is reminiscent of the work of grossly underrated Icarus, complex beats, earthshaking subbass, strings and slightly distorted sonic picture creating an excellent atmosphere. "Monday" would be my personal Loveless’ favourite. The other artist contributing to this split goes by the name of Hatchelt and the first offering is called "Sound28a" a down tempo track consisting of gently played piano fused with feather-light beats. "Faith" features straight-forward beats, piano, bass (the electrically powered stringed instrument one) fused with vocal sample of unknown origin. Changing direction in "Notsad" (which is always nice to hear) a track that could very well have been made by the prolific artist Melodium of French Autres Directions in Music fame. Ending Hatchelt’s part of the "The Tandem Series" is "Do Whatever You Can" is beatless, filled with lush strings, delicate chimes and sweet melody played with the same kind of delicacy. It’s BOLT028 and you know you should investigate." "The Tandem Series disc is the third in an ongoing split series, this particular chapter pairing five cuts by UK trio Loveless (a quartet if live visuals are counted) and four by Bristol-based artist Hatchelt. Anything but bland, Loveless grabs your attention immediately by streaming razor-sharp beats and whirring glitch through a MBV blur in "Luh" and then layering ghostly sounds (the glassy kind one generates by dragging a bow across a saw) over propulsive breaks in "I Am John's Memory." The group finds room for a few lush moments, too, in "Leave Recorded" but sweetens the deal by animating the tune with a lazy lope. Hatchelt, who creates textured downtempo ‘scapes from guitar, piano, strings, field recordings, and electronics, begins his set with the auspicious stutter and sputter of a field recording in "Sound28a" before wrapping a head-nodding break around a bright piano melody. "Faith" clanks even more insistently but the real ear-catcher is the distorted piano theme and mix of choral and speaking voices Hatchelt drags through it. Though it reveals a warmer side, the plodding "Notsad" is less interesting yet still compels on account of a distinctive thrumming sound design. Needless to say, the engrossing material by Loveless and Hatchelt impresses for being both adventurous and unpredictable." "The third in the Tandem series from Boltfish Recordings begins in familar fashion. A distorted slab of analogue noise accompanied by a colourful melody which seems to have been dragged from the archives of a childrens' TV programme tells us one thing: that we have encountered another group who have possibly listened to Boards Of Canada. Nevertheless, in the case of Loveless' 'Leave Recorded' its performed beautifully with just the right amount of nostalgia to avoid pastiche. Proving they have more than one string to their bow, 'Monday' is more concerned with skittering beats. Bristol-based artist Hatchelt, however, begins in subtle but rather less arresting fashion with more Eno-influenced pieces. Yet, with 'Notsad', he produces the outstanding moment on this collection as a very sad indeed guitar part is accompanied by an equally melancholic and stately keyboard figure. It's a lovely, languorous moment. Overall, this is probably the least consistently great offering in the Tandem series so far but there's still much to admire from the two acts involved. ."